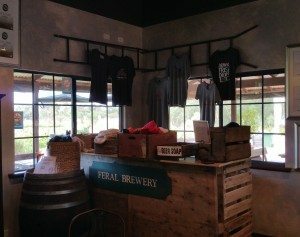 The first stop on the Top Gun Tours brewery tour is Feral Brewing – a boutique brewery that hand crafts a range of world class beers in Swan Valley. 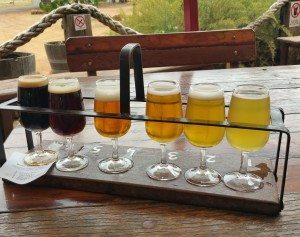 They have won numerous awards both as a brewery and for their various handcrafted beers. 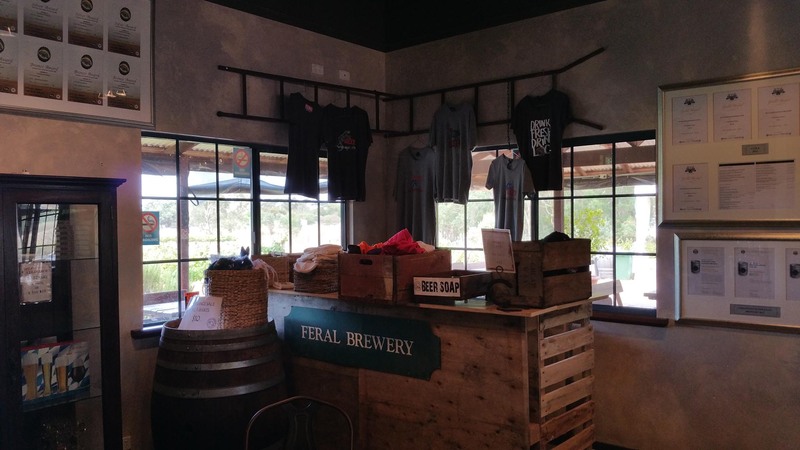 In addition to the small onsite brewing equipment, Feral Brewing has an offsite brewing facility in Bassendean, where the majority of their beer is brewed. Distributed nationally, some of their beers are bottled and sold at Dan Murphy’s bottle shops in addition to local pubs. Although the beers on tap change often to keep up with the demand of patrons and the changing seasons, Feral Brewing offers a wide selection so that there is always a good option for you. Hop Hog – This citrusy beer with hoppy aromas is an American IPA with a uniquely Feral twist. Feral White – This Belgian style wheat beer is another Feral original, and it’s one of their top sellers. Sly Fox – This is a light beer that still contains a powerful flavour, and it’s a summer favourite. Smoked Porter – Gently bitter, the Smoked Porter has a malty flavour with a subtle hickory flavour on top. The Runt – This beer is a slightly dryer and hoppier alternative to the Hop Hog. Karma Citra – One of Feral’s newer beers, combines dark malts with floral hops for a chocolatey undertone to a citrus beer. Fanta Pants – This full-bodied beer starts off sweet and comes in hard with a bitter after taste. Rust – This is a strong Belgian Abbey ale, with a strong malt flavour. Watermelon Warhead – This is a German wheat beer brewed with local watermelons from Swan Valley. The result is a refreshing fruity beer. Razorback – This English style barleywine is the perfect combination of bittersweet hops and fruity. 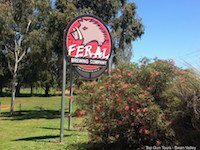 White Hog – Feral Brewing created this beer for their 10th anniversary. It’s a perfect blend of their Belgian White and the ever-popular Hop Hog. Barrel Fermented Hog – Putting a twist on the Hop Hog brewing process led to this vanilla flavoured version. Raging Flem – Another successful blend, this is a worldwide combination of Australian and European malts and American hops. Boris – This Imperial Stout is based on Russian beers, and is a dark brew that results in flavours like espresso and chocolate. Barrique Okarma – This beer was originally brewed for the Great Australasian Beer Spectapular, and it was so good they kept it around. Similar to the Barrel Fermented Hog, it has a hint of vanilla. 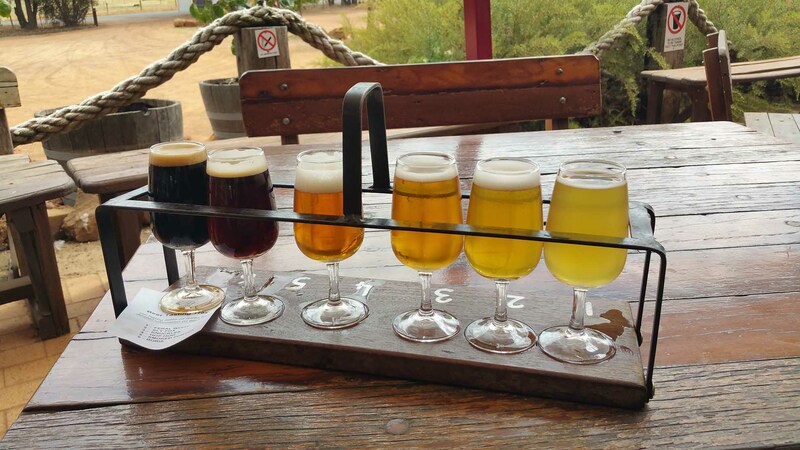 With so many beers to choose from, there is something for everyone at Feral Brewing. Another great thing about having so many choices? On a Top Gun Tour, you get to sample more than just one or two of them. On top of that, Feral Brewing offers pairings between their beers and their food menu! 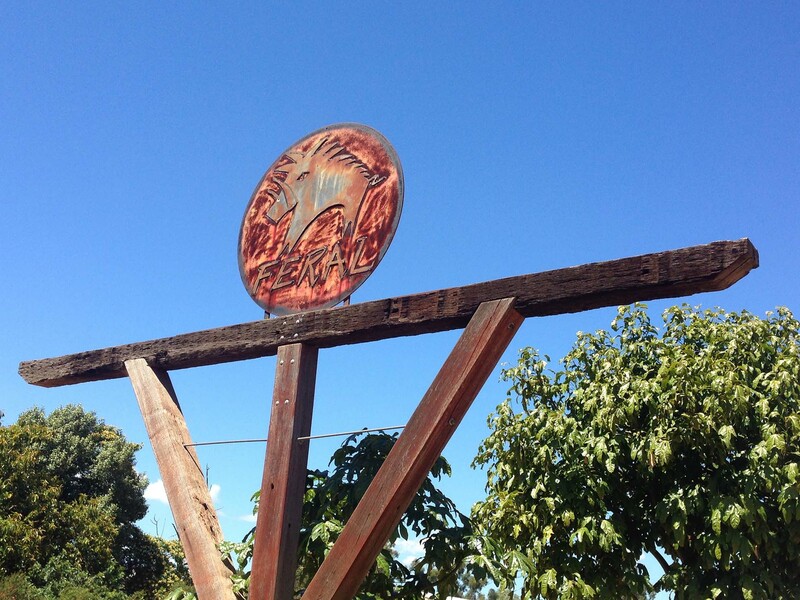 The award-winning brewery has a lot to boast about. They’ve been winning awards since at least 2009, including these. With so much to offer and so much to be proud of; Feral Brewing has earned its place as the number one stop on a Top Gun brewery tour.